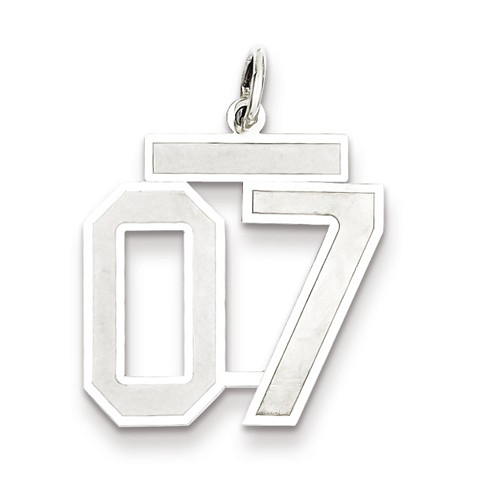 Medium number 07 charm with top bar is made of sterling silver with a satin finish. Weight: 0.93 grams. Number measures 5/8 inch tall without bail. Made in the USA.